I will be quite interested to see how this affects a music gig.. £800,000 seems like a huge amount of investment for a lighting control system, but indeed the overall effect could be amazing if used correctly. I look forward to my next visit! 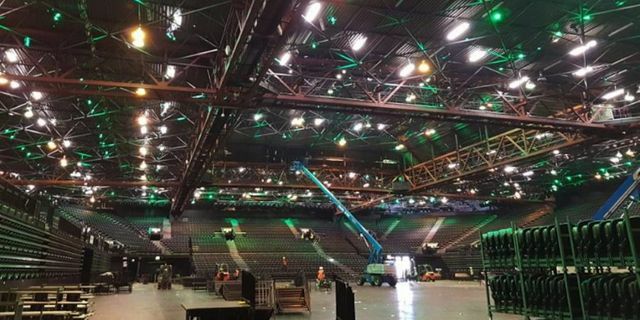 A state of the art LED work light and colour changing audience system with full DMX control has been installed at the Genting Arena. The system is the first of its kind to be installed in a UK arena. New audience LED fixtures will be individually controlled and have the ability to produce a multitude of colours, transforming the look and feel of the arena bowl pre, during and post event and dramatically enhancing the experience for customers. Additional benefits at the Birmingham venue also include reduced light glare to audiences during events.